The two female martial artists will square off on the July 2 episode of the Contender Series, sources confirmed to FloCombat. Ranked No. 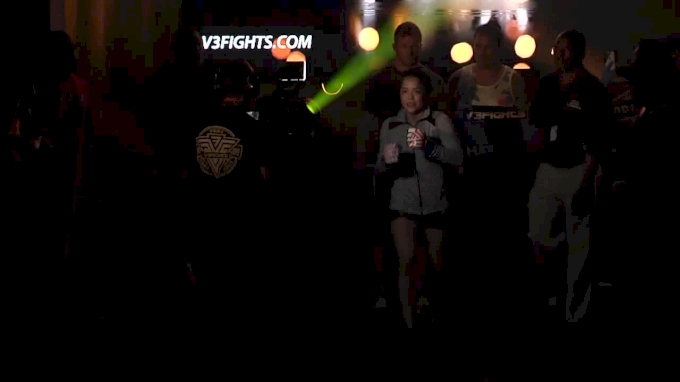 12 among regional female martial artists according to Tapology, Young is coming off back-to-back victories for Valor Fighting Challenge. In her last outing, Young submitted pro Anastasia Bruce, live on FloCombat. The 28-year-old has only dropped one bout in her professional career—a close split decision to Lisa Spangler at Invicta FC 31. Currently holding the LFA Women's Bantamweight Championship, Alpar becomes the second LFA champion to be featured on the upcoming season alongside middleweight strap-holder Brendan Allen. A professional since 2011, Alpar has faced the who's who of talent on the regional scene including Carina Damm, Heather Clark, and Jocelyn Jones-Lybarger. In her last outing at LFA 55, Alpar snagged the aforementioned vacant LFA title, putting a screeching halt to the momentum of surging prospect Joselyne Edwards.